Have you gone solar? If so, congratulations on all that money you are saving. Or, are you? 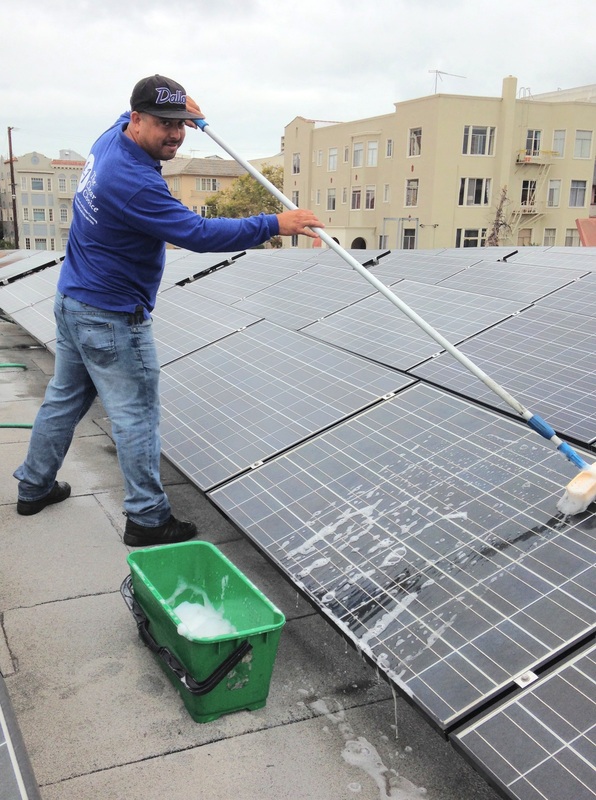 Only recently have solar panel manufacturers and installers started to recommend regular cleaning of solar panels. Before, the misconception that rain would wash solar panels – along with windows – was the predominate philosophy in the industry. Some argue that the dust built up over a long, dry, California summer is not enough to significantly impact efficiency. But what about the dust built up over multiple long, dry, California summers? Yes, rain will rinse some dirt away; however, rain will not restore your panels to “just installed” clean. Chimney ashes – if you or your neighbors have wood-burning fireplaces, and allowed to use them. Mud and water spots after a rare California rain – especially for panels too flat for gravity to be of much help. Anything that blocks sunlight from the solar cells reduces the efficiency of the panel. Over time, even simple dust accumulation can reduce performance by up to 30%. And remember, more than just dust is accumulating. Those stickier substances are a bigger problem. They accumulate faster, attract more dirt, and they can etch the surface of the panels. Additionally, the longer you allow anything to build up on your panels, the more difficult they are to clean – increasing the possibility of damage. The main reason many people do not have their panels cleaned is that the loss of efficiency is gradual – the changes to your electric bill are so minimal from month to month that they go unnoticed. After a good cleaning, however, the change to your electric bill will be immediate and notable. Think of regularly cleaning your panels – once or twice a year – as preventative maintenance. They keep your electric supply consistent, clear panels of corrosives that can cause permanent damage, and provide a visual inspection for obvious damage. You have your teeth professionally cleaned twice a year, why not your solar panels?